On 22 June ’17 100 representatives from 67 different universities, arts organisations and cultural and Higher Education sector agencies met at the University of Hull. Against the backdrop of Hull City of Culture and the first decade since Liverpool Capital of Culture, the event explored the potential for three-way collaboration to create a more prosperous and resilient society though partnership. It also shared the findings of three recent Forum audits and invited participants to co-develop activity which responds the opportunities the audits reveal. Dr Edward Harcourt welcomed participants and introduced three keynote speakers who shared their insights into how, by engaging the business sector with arts and higher education partnership this triumvirate can have a positive impact on social and economic prosperity. Read a summary of Edward’s introduction here. Professor Glenn Burgess, Vice-Chancellor, University of Hull spoke about the University’s approach to partnership with the cultural and business sectors and how the University looks to build its City of Culture legacy. Read a summary of Glenn’s presentation here. Katy Fuller, Executive Producer, Hull 2017 How Hull 2017 has galvanised the Arts, Education and Business Sectors. Legacy planning and how the experience can be shared for the benefit of places outside the City of Culture. Read a summary of Katy’s presentation here. Dominic Gibbons, Managing Director, Wykeland Group spoke about the purpose of and approach to partnership from the business perspective. The pillars for success and what HE and cultural organisations can do better to engage with the business sector. Read a summary of Katy’s presentation here. 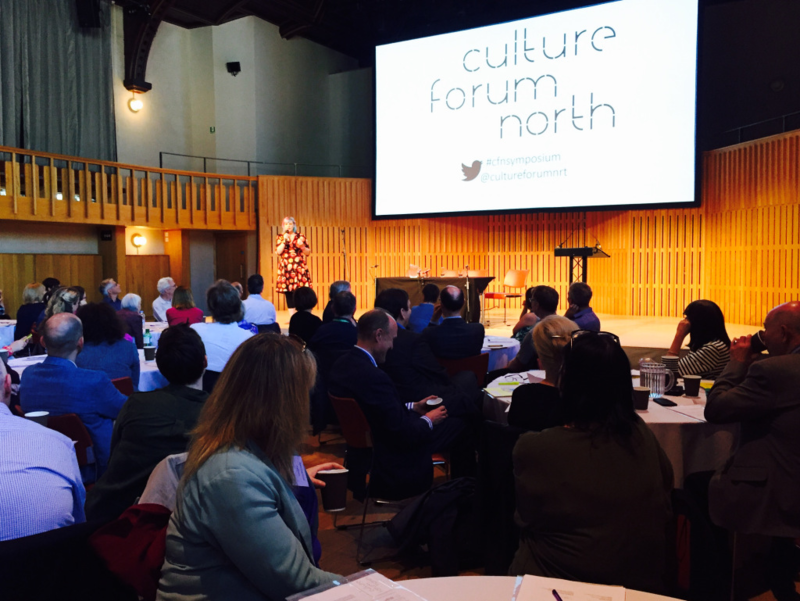 Claire McColgan, Director of Culture, Liverpool City Council shared her insights into what arts, HE and business partnership has done for civic prosperity ten years on from European Capital of Culture, and how others can learn from the experience. Chaired by Sarah Fisher, Director, Open Eye Gallery, Liverpool. Glenn, Martin, Dominic and Claire discussed questions from the floor. Read just a few of the conversations here. On 22 June a series of afternoon workshops invited participants to devise project proposals that respond to the opportunities identified through the audits. These proposals will inform the next stage of Forum activity. How cultural organisations and universities strengthen sector skills through partnership programmes. How relationships between small arts organisations and universities are perceived, developed and valued. The collation and interpretation of academic research and how it can be better shared. FEEDBACK FROM THE WORKSHOPS WILL BE AVAILABLE SHORTLY.